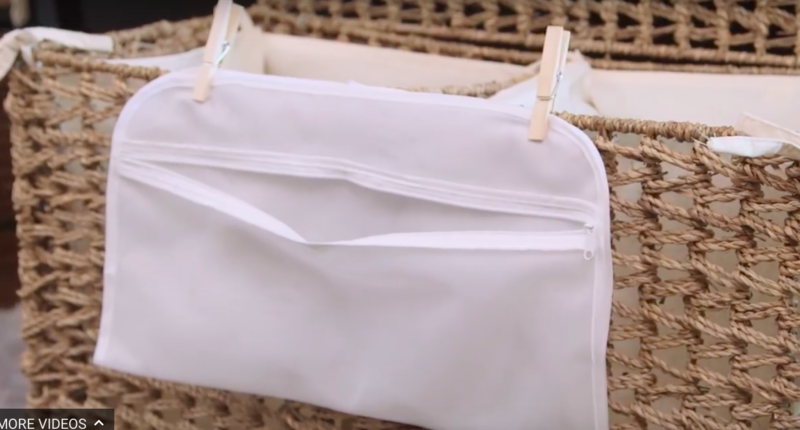 This Mesh Bag Pinned To The Laundry Basket Is A Game Changer!! I Love A Hack That Really Works! Whether you have kids or not (but ESP if you have kids), doing the laundry is time consuming activity that NEVER seems to end. Sometimes I find that by the time I have folded the laundry from yesterday, the kids have amassed enough dirty clothes to fill the now-empty hamper. OY!! Laundry hacks are wonderful when they actually save you time, energy and prevent laundry mistakes from being made. For instance, the mesh bag you see above? Clip one to the side of the laundry basket and have the kids put their socks in there, instead of in the basket. Come laundry time, zip it up and throw it in. No more lost socks or hard to find pairings. In fact, this is the perfect little job to give any kid in your home who is old enough to sort and fold them. CHECK OUT HOW THIS MOM OF 6 PIMPED-OUT HER LAUNDRY ROOM FOR ONLY $400! AMAZING! How about these wall hooks? Is your ironing board leaning against a wall somewhere? 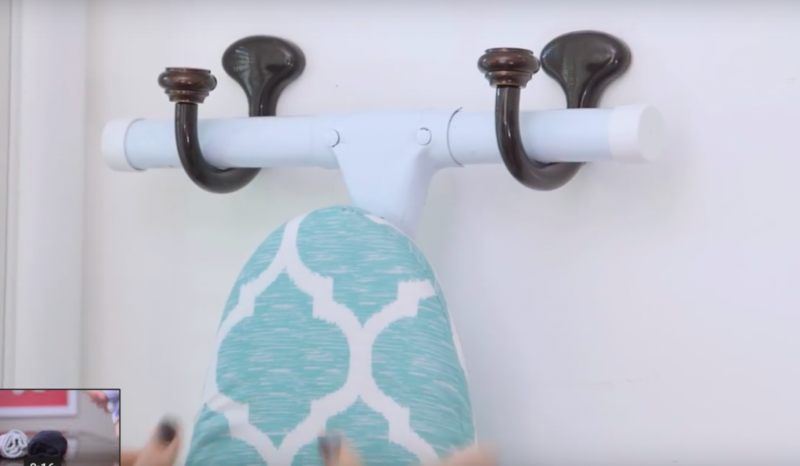 Two wall hooks make the perfect spot to hang it.